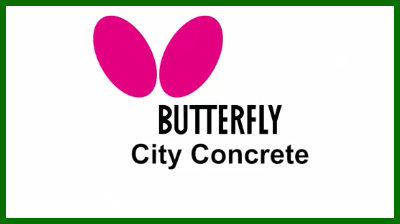 The Butterfly City Concrete is Butterfly’s lowest priced concrete model. The concrete table top is 40mm thick and the legs are made from galvanised steel. It is supplied with an aluminium net which is 4mm thick. Butterfly recommend their concrete table tennis tables for public play areas, schools and holiday parks.